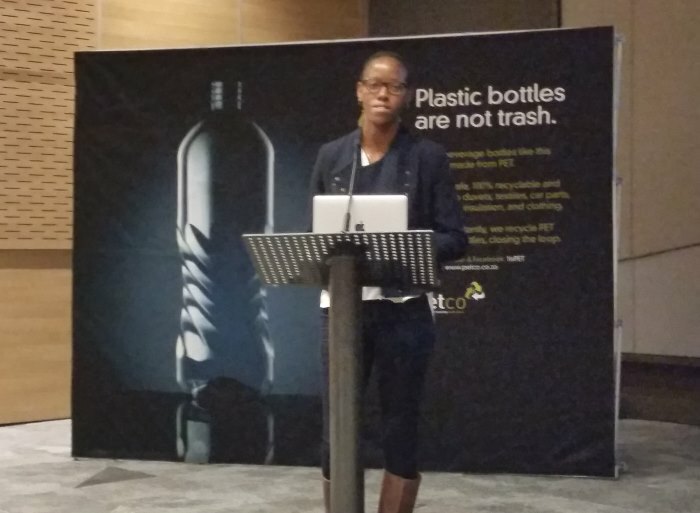 The need for innovation in the responsible design of plastic packaging and the essential focus on the post-consumer life of this material was discussed during a workshop at the Sustainable Brands HOW NOW conference in Cape Town. The conference created an opportunity for professionals from various industries to network and learn from their peers and a collection of thought leaders in an optimistic, collaborative environment on HOW to implement sustainable solutions – NOW. The workshop was offered by PETCO, who felt that a conference which looks at the importance of sustainability of brands – when sustainability itself is such a complex issue – was quite novel and very significant. They therefore brought together some of the top minds in sustainability, design, and product packaging. Dr Keneilwe Munyai is the Programme Manager for the Hasso Plattner Institute of Design Thinking (UCT) and the first black woman to receive her doctorate in design in South Africa. She shared her insight into various innovations in design, specifically where these designs incorporate aspects of sustainability and the re-use of post-consumer materials. 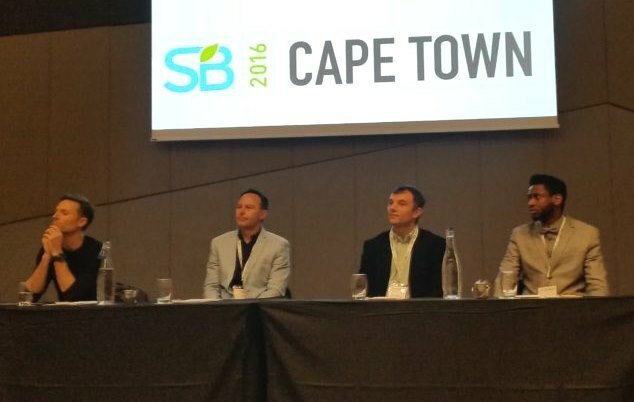 A panel of four advocates for sustainability each presented their insights into the future of sustainable brands in South Africa. Livio Tronchin, Strategy Director for media neutral communications agency Derrick, highlighted ways in which brands could incorporate their sustainability practices into clever and successful marketing campaigns, while seeing the opportunities to make more sustainable choices as a mechanism to build favour amongst their consumer base. Lloyd Mcfarlane, CEO of the strategy, sustainability and marketing consulting firm GSA Campbell, discussed the disconnect between brands who are merely perceived as being sustainable, as opposed to brands who choose to guide their business practices by sustainability principles. Kiril Dimitrov brought his unique perspective as a Packaging Innovation Manager. He identified key trends in the demand for more sustainable products, with specific emphasis on the emergence of so-called ‘Millenials’. These Millenials represent the current generation of young adults who prioritise sustainability as an integral aspect of their lives, and who, Kiril believes, will force brands to shift to produce more sustainable products in order to meet consumer demand. Kiril concluded that the future belongs to sustainable brands; brands who fail to transform their business will not survive in a market made up of environmentally-aware and sustainability-conscious Millenials. Brian Mtongana, Head of Design at Woolworths, presented the challenges and opportunities that exist when incorporating sustainability into package design from a retail perspective. Brian presented some of the many considerations that exist in creating the perfect packaging for any product, ranging from innovative and appealing design to the effectiveness of the packaging in maintaining the quality and integrity of the product. The panellists’ presentations were followed by an interactive Question-and-Answer session from the audience. “Listening to the panellists, it’s promising to see that collaboration in the sustainability sector, in particular in the waste sector, is becoming more desirable,” said Cheri Scholtz, CEO of PETCO. To get involved in the discussion or to find out more about similar events, visit the PETCO website (www.petco.co.za) or follow on social media (Facebook and Twitter).